Those of you who are lucky owners of a Mac are able to register at the apple developer program for free and download several iPhone developer tools there. Also you can download a simulator for iPhone/iPad which probably works like a real iPhone/iPad. As ASP.NET developer I run Visual Studio in a VM. In my case VMWare Fusion. 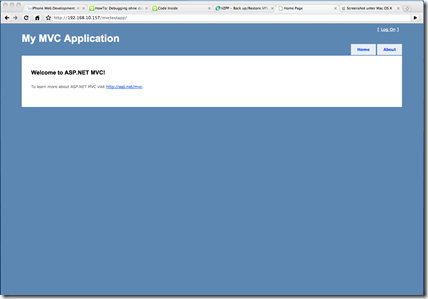 But how it´s possible to run my web application which is hosted in VM in the host system? The Source Code is the same like the standard MVC Project type. Before you start you have to turn off the windows firewall. More about the subject Host System and network you will find here. After finishing it´s useful to get a new IP address from DHCP (nearly every router use DHCP by default). This is possible by the commando line order "ipconfig/renew". Possible! 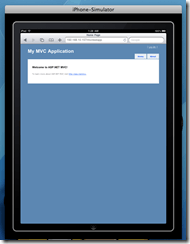 Breakpoints you define in VM will be put out if you, for example, enter the side with the iPad browser. Generally this constellation works. 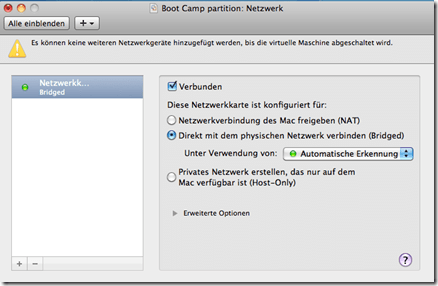 If it´s always the best way to switch between VM and the simulator is the question. But of course it´s more comfortable than running a whole deployment. If you don´t use VMWare Fusion can find the same settings in Parallels. I think both products are nearly the same anyway.